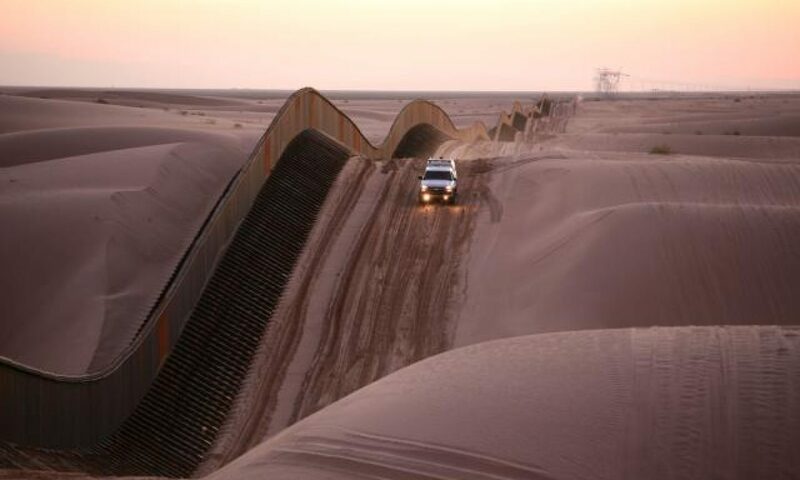 The framing of tragedies by government officials and state actors in the USA and Canada this past week raise questions regarding the boundaries around “victims” and related categories – “perpetrators” or often in modern times, “terrorists” – and how such shifting boundaries are constructed and contested through strategies of naming and erasing. 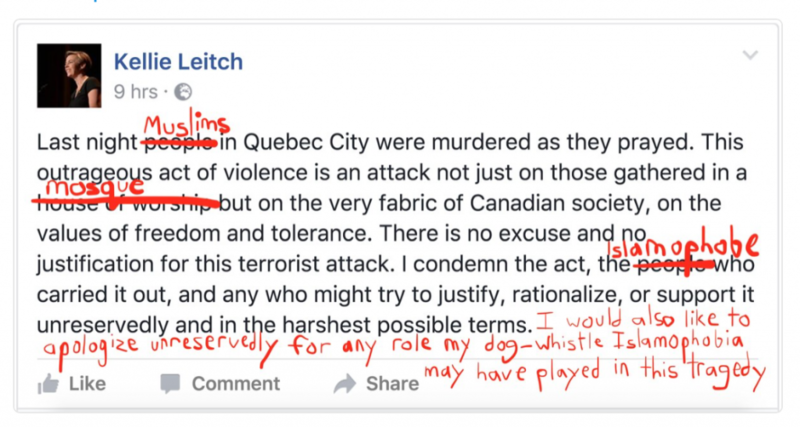 A recent post by Ian Alexander Cuthbertson addressed how the mosque attack in Quebec City on January 29th of this year was labeled and constructed differently; at first as a “shooting” by media outlets, versus a “terrorist attack” by national and provincial politicians. The “terrorism” classification did become more pervasive the following day, particularly with the revelation that the shooter, Canadian Alexandre Bissonette, reportedly supported right-wing nationalism and Donald Trump while criticizing refugees. This shifting “white Canadian terrorist” classification is notable because it stands in contrast to a predominant system, one perpetuated by President Trump (i.e. in his inauguration speech), that relies upon a narrative naming Muslims as radical Islamic terrorists and Americans (presumably the non-Muslim ones) as civilized victims. As Rogers Brubaker and Frederick Cooper write, “The modern state… monopolizes, or seeks to monopolize, not only legitimate physical force but also legitimate symbolic force… This includes the power to name, to identify, to categorize, to state what is what and who is who.” (“Beyond ‘identity’” 2000: 15-16). We see the power of naming and categorizing play out every day in different forms at different levels, from driver’s licenses, to census-taking, to press releases, to tweets. 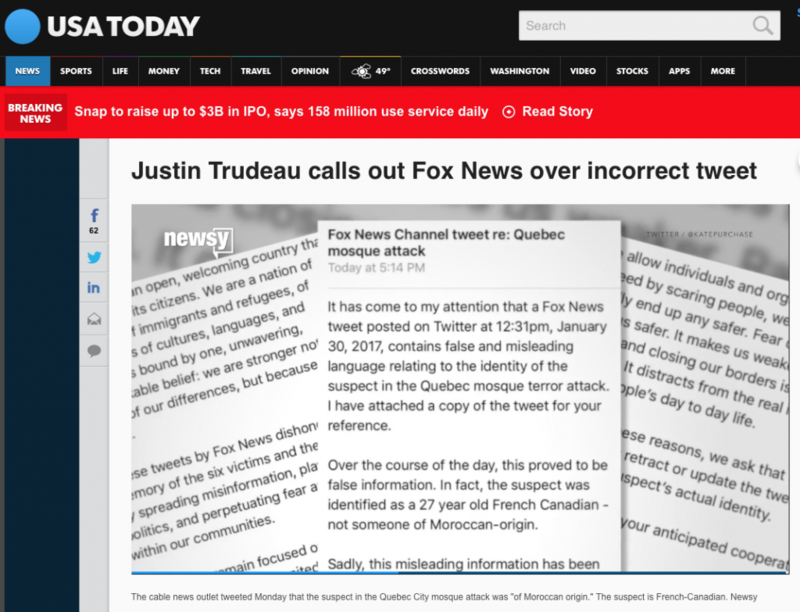 Conflict over classification and the control of public perception was seen to play out when the Director of Communications of Prime Minister Justin Trudeau’s Office confronted Fox News over a misleading tweet that named a Moroccan man as one of the attackers. Fox News failed to remove the tweet in question once he was identified as a witness and not a suspect, a perpetrator, or a terrorist. Notably flipping the afore-mentioned narrative, the statement from the PMO declares that, “Muslims are predominantly the greatest victims of terrorist acts around the world” (emphasis added). 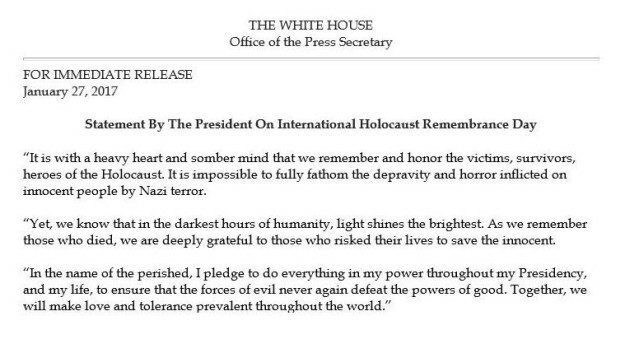 Regarding victims and press releases, you might have seen the controversial statement released by the White House to mark International Holocaust Remembrance Day. A shooting is not the Holocaust (and I do not mean to take away from one by comparing it to another). But comparing the two discourses used to construct and influence public perception of these tragic events may shed important insight upon contemporary rhetorics of race, religion, violence, and memorialization. I believe that we are seeing competing classification systems put to work, each of which are useful for disparate actors and groups interested in achieving particular ends, which may or may not actually revolve around race or religion. 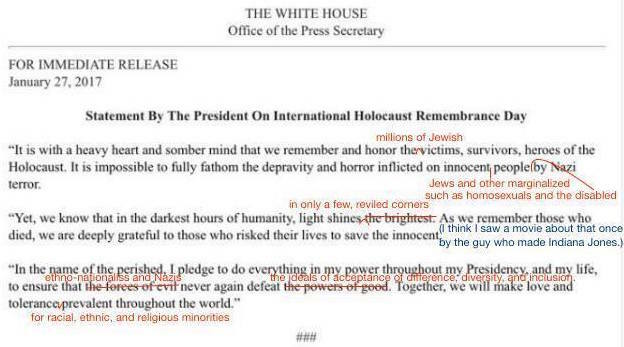 In both edits, the perpetrators of the crimes are corrected from general “forces of evil” and “people who carried [the attack] out” to more specific terms: “ethno-nationalists”, “Nazis”, and “Islamophobe”. In each, the general terms “victims” and “people” were amended to the more specific “Jewish victims” and “Muslims”. Also, note Leitch’s “house of worship” replaced with “mosque”. It is the use of a classification system that is seen to lack specificity, one that appears to erase key identity labels and thus groups in their distinct significance, that is perceived as problematic in each memorialization statement. As Roland Barthes said in 1972 (and I recently read in Craig Martin’s Capitalizing Religion 2014: 54), “[T]ell me how you classify, and I’ll tell you who you are.” This statement aptly applies in this case as we can analyze the strategic lack of specificity within the classification systems that certain actors use to describe and memorialize tragic events. Brubaker and Cooper contend that, “By considering authoritative, institutionalized modes of identification together with alternative modes involved in the practices of everyday life and the projects of social movements, one can emphasize the hard work and long struggles over identification as well as the uncertain outcomes of such struggles” (2000: 16). In this case, the authoritative modes in question are those top-down examples from government officials and state actors; the alternative modes in the practices of everyday life are those amendments that begin outside of modern state institutions and are brought up into public awareness, including through mainstream and social media. The point to take home is that state actors and those who amend their words have various interests in naming and erasing group identities, but all such classification practices and their outcomes are and ought to be both contested and considered. Stacie Swain is a Masters student in Religious Studies at the University of Ottawa. Her research examines the politics of religion and related categories in contemporary Canada with a focus upon the discursive practices of Indigenous peoples, state actors, and mainstream media.